Formally know as Lake Rudolf, Lake Turkana lies within the Kenyan Rift Valley. Measuring 290km from north to south it is the worlds largest permanent desert lake as well as being the world’s largest alkaline lake. Due to its relative geographic inaccessibility, it’s aridity and scorching land temperatures the lake and the immediate surrounds retain their wild character – Nile Crocodiles, scorpions and Puff Adders are just a few of the residents. With an abundance of hominid fossils having been discovered in the area, Lake Turkana National Parks are now listed as a UNESCO World Heritage Site. All this said, the most inspiring and intriguing aspect of Lake Turkana, for me, are the people that inhabit its surrounds. I based myself at the southeast of the lake and it was from here that I was able to visit the beautiful people of the region. The Turkana people, who are native to the district, have elaborate clothing and adornment styles, which are used to distinguish between age groups, development stages and status within the community. And with smiles that could melt the volcanic rock on which they stand it is hard not to be in complete awe of the Turkana. The Rendille, who are believed to have originally migrated south into the Great Lakes area from Ethiopia, are traditionally nomadic pastoralists tending camels, sheep, goats and cattle. With intricately beaded necklaces and striking headdresses the Rendille are true gems within the brutal landscape. The El Molo people are the smallest community in Kenya and are some of the last remaining true hunter-gatherers, surviving almost entirely on fishing the lake. Although the Nile Perch is their mainstay, the El Molo are renown for hunting and eating the meat of hippos and crocodiles. And finally I had the pleasure of meeting the Samburu, who are related to, yet distinct from the notorious Maasai. 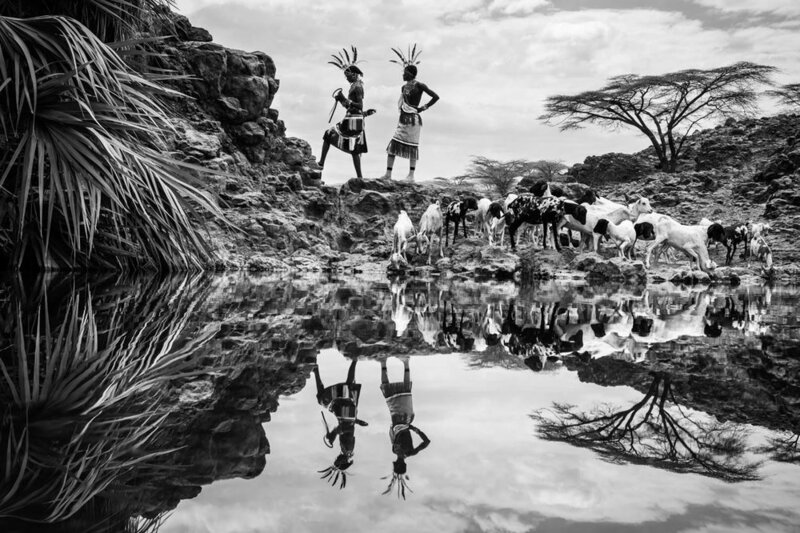 The Samburu are semi nomadic pastoralists whose livestock is essential to their economy and social system. Much like the Rendille, the Samburu warriors (morans) with their Shuka cloths, elaborate jewellery, red ochre braids and face paint are a treat to the eyes in the otherwise desolate landscape. The Samburu women, with their heavily beaded necklaces and shaved heads, are some of the most striking people I have ever met … and fortunately for me, this visual feast was washed down by many a cup of sweet milky tea - a staple of the contemporary Samburu diet. 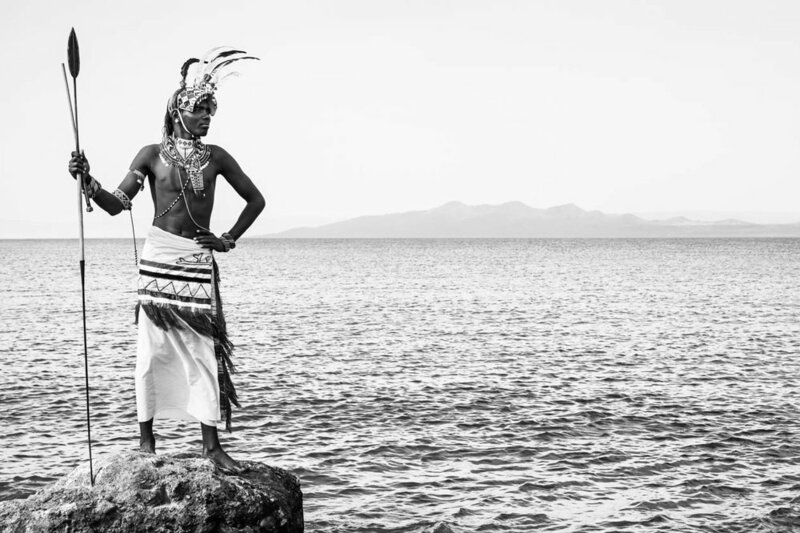 With customs, traditions, beliefs and beauty as deep as the lakes waters the people- and landscape - of Lake Turkana left me reeling in insignificance… A fabulously humbling experience.